Vote Keri Fernandez for QuickSchools Teacher of the Year 2012! 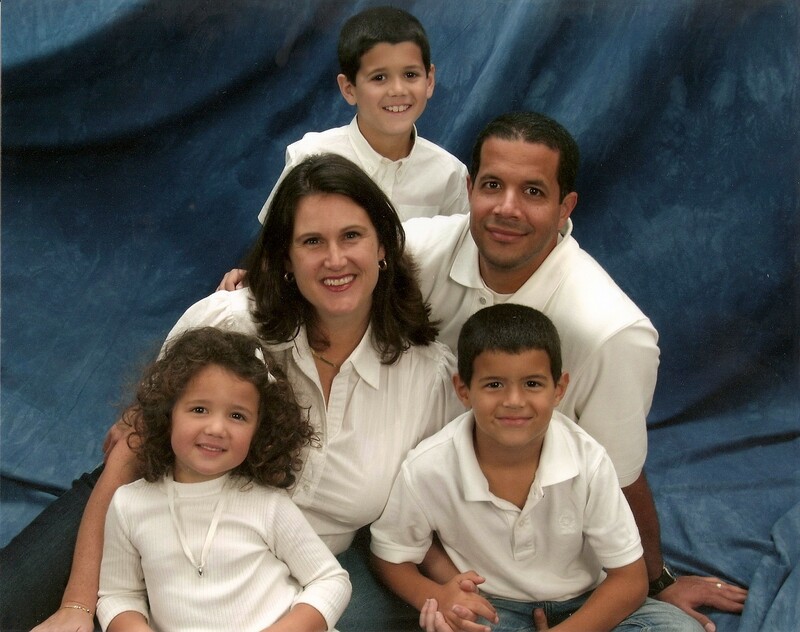 Help Keri Fernandez win the inaugural QuickSchools Teacher of the Year award. To all teachers out there, we salute you! QuickSchools.com is a fully-online school management system. Keri Fernandez is a Rockstar Teacher! Ms Fernandez teaches Science to the 7th and 8th graders at Smith Preparatory Academy in Longwood, Florida. Her nomination came from a fellow student at the school, Tyler. Here’s what Tyler had to say about Ms Fernandez. She makes science fun, she is hands on, and very funny and entertaining to have as a teacher, I remember everything she has taught me this year. I always loved Science – you can never know everything there is to know. I’m amazed at how detailed and intricate God has made all life – from protozoans to plants to animals. I think teaching is such an exciting job. No two days are ever the same and kids are the funniest people in the world. Being able to help shape their lives is a very high honor for me. I want my students to love learning. If they graduate from my class and love to learn, they will be successful in life. I also try to pass on to them the need for living for something bigger than yourself. This year, some of our students and teachers were able to go on a camping trip to the Peace River. After we camped, we went canoeing the next morning and looked for fossils in the river. We swung on rope swings, saw alligators and had such a fun time. I am blessed to have a job like this! ← Vote Emma Brown as QuickSchools Teacher of the Year 2012! Keri is awesome! She has been Jackson’s teacher twice now. She has great passion for teaching and love for her students. Thanks so much Brett and Kim! I am always blessed to be with you guys or your kids! Happy Summer! 🙂 🙂 🙂 🙂 🙂 🙂 🙂 🙂 🙂 🙂 🙂 🙂 extra smiles for Mrs. F.! Keri Fernandez also teaches high school Biology, Chemistry, and Physics. She is an absolutely AMAZING teacher! My daughter has had her for all of the above and raves about her ability to take really complicated material and explain it in very easy to understand nuggets. We feel so blessed to have her at Smith Prep. thanks so much Leia! You already know that I think your daughter is amazing! May God continue to bless you all and you guide her! Happy Summer! Keri is my sister. She and I both went into science, but she became a teacher and I went down the research path. As an adult, I sat in her science class and was amazed at her knowledge and practical explanation of science. I wish I had her as my high school science teacher. Way to go, Keri! Ang, you have always had the A brain =) I’m so thankful and blessed to be your big sister =) Love you and can’t wait to see you! Keri Fernandez teaches two of my daughters at Smith Prep. Her love of science and her passion for teaching show in her enthusiasm in the classroom. She is always available to answer questions and to encourage. The girls have a real understanding of complex topics. I look forward to returning next year. I am so blessed to have her as their teacher! Thanks so much, Linda! Your daughters are very wonderful! They are so hardworking and sweet! Hopefully, we’ll have some more camping adventures for them next year! =) God bless you! Keri is my cousin. We saw each other more as children, and unfortunately it is rare to see each other now living in different states and busy lives. But everytime I see her I am amazed at her passion and love for life and everything in it. That passion must come through in her teaching. Her students are blessed to have her. Thanks so much, Laurie! I remember always thinking that you and Jimmy were the coolest! Blessings! went to elementary school and university with Keri. She has always been very bubbly and passionate about what she does. Her students are so blessed to have her as a teacher!! Hi Deana, Thank you so much for taking time to write with your super busy schedule. I just prayed for you and your family! i wish i had her for three years!!! it’s too bad i only could have her for 1. she is the best!! Our 2 high school students have the privilege of being taught by Mrs. Fernandez! She has brought science to life…and brought understanding to science! We appreciate you Mrs. F.! Thanks so much, Marylou! You have wonderful kids! Mrs. Fernandez has been a great teacher. She has always made science fun and I have learned so much! She does make science more enjoyable!! Go Mrs. Fernandez!! Keri Fernandez has always been a wonderful teacher for my children. We appreciate you so much! she is appreciated by everyone who knows her!!! Keri was a classmate many years ago, and I can see how her personality, intelligence and love for God would make her an awesome teacher ! Keri has a wonderful and loving way with children. If I had a teacher like that I would have paid more attention to Science. Hi Becky! You are very sweet! Thanks so much! Keri is a fantastic co-worker. She is very dedicated to her students and committed to supporting their families. She has also been very welcoming to me a new teacher to SPA. What’s not to welcome! You’re awesome! We love Mrs. Fernandez! Among her other remarkable qualities, joy shines through her eyes and smile–it is infectious! so true!!!!! i can’t say enough about the joy and love that flow through her each and every day. From the moment we visited her class last year, we could see that Mrs. Fernandez was a gifted teacher. She has instilled a love of learning and of science in my daughter this year! She has inspired LIndsey to work hard! Mrs. Fernandez always knows just how to teach her material. She knows all about science, and I am amazed by her love for every single student in her class. I hope someday i can have that kind of love and knowledge in everything that I do. Mrs. Fernandez, Thanks so much for your hard work!!!!!!! Kurk, you are amazing! Thanks for ALL your kind words and thoughts! God bless you! Keri was so nice to my daughter and has made a difference and an impact on her life. Mrs. Fernandez is AWESOME! My daugther absolutely loves science because of her, even when the subject matter isn’t her favorite. Thank you so much, Mrs. Fernandez, for making science fun and caring about all your students!! yeah, i just love the way Mrs. Fernandez teaches!!! whoot woot!!!! go mrs. F!!!!!! Mrs. Fernandez is by far, the best teacher I have ever had! I didn’t really like science much, but three years with her changed my mind. The worst part about graduating was having to leave her class. Love you Mrs. Fernandez! i am so grateful to have Mrs. Fernandez as my teacher!!!! i’m really sad that i have to leave her as well. Thanks so much Hannah! You were a terrific student and still are so sweet and kind! Thanks for all your kind words! Blessings! It is very exciting to hear about Mrs. Fernandez’s excitement for teaching. She wants to see her students love to learn. As a science teacher also, it is a real blessing anytime we can get students to enjoy what God has created. We have loved having Keri as our son’s teacher. She is passionate about her subjects and her students. So grateful for her!! Keri has been an incredible example of a dedicated individual throughout her life. She has always had a caring spirit and exemplifies true concern for her family, friends and students. I consider it an honor to nominate Keri for QuickSchools Teacher of The Year. i absolutely agree!!!!! Mrs. Fernandez all the way!!!!! Glen, Thanks so much for your super kind words! I appreciate you very much! I vote for Mrs. Fernandez! I have known Keri for many years. She has my vote. couldn’t agree more. she is the best teacher ever!!!!!! All three of my children have had Mrs. Fernandez and they all LOVE her! They really connected with Science in a new way ALL because of HER fun teaching and cool field trips! GO Mrs. Fernandez~ I hope you win, you deserve it! My wife and I have been family friends…for all of Keri’s life. We knew her when she was one of the “funniest people in the world” that she mentioned. Several vacations in Maine together as families revealed her intellectual curiosity. She is motivated and not only loves to learn, but she loves to share her knowledge. As she grew up around us, then on to school, then married (great wedding, by the way), and has now the beautiful family you see, we have enjoyed knowing her. I vote that she is probably the best at whatever she tries. The comments of her students seem to bear out that impression. Keep on keeping on your good work, Keri. Teacher of the Year seems a fitting title for you. Hope you win. We send our love. You are the best teacher ever. Even though science isn’t my favorite subject, your class is my favorite class because of your awesome teaching skills!!!!!! God bless you. Hope you win! i had the same problem with disliking science, but my opinion has completely changed because Mrs. Fernandez started teaching me. hey, i enjoy typing on the computer and i think this is the best way to spend my time typing. Mrs. Fernandez rocks the world out when she teaches, and she should win all the time!!!!! that’s kind of a weird post……. oh well. Mrs. Fernandez all the way!!!!!! Mrs Fernandez was my favorite teacher and her class was so fun. She is awesome! Keri just radiates with her presence. She is the sunshine when she enters a room with a continuous smile which is infectious. How can her students help but learn from her. We love Mrs. Fernandez! She has sparked a love of biology in my son. It is his favorite class at Smith Prep. Thabk you so much for your willingness to be a great teacher! The kids and parents are so thankful! It’s already been said, but I will say it again… Keri is an awesome teacher and an awesxome person. She has led some science experiments for my kids and I can’t put into words just how great they have been! My guys always have a fun time when they are learning from her. She’s a rare teacher able to disguise teaching under the blanket of fun! I wholeheartedly agree with the comments posted thus far. Keri is an amazing teacher, whether you’re in her science class or not. She has a very special gift that she shares daily, and my family has been enriched by it. Even though Mrs. Fernandez has only taught me for one year, I already love how she teaches. I would definitely say she is my favorite science teacher ever. period. 🙂 🙂 🙂 🙂 🙂 🙂 🙂 smiles for mrs. Fernandez!!! =D How do you submit an article?? I really want to but dont know how. And Mrs. Fernandez, you’re the best!! I have just been completely persuaded by an article written by Kurk Pyros. Mrs. Fernandez is amazing!!!!! I hope she wins. He’s a great writer, isn’t he! I couldn’t believe that article. =) Thanks so much! God bless you! We love you Mrs. Fernandez!!!! you have impacted me and my student in all you do. May God continue to bless your efforts at Smith Prep!!! Hey, how do you upload a video? i want to help Mrs. Fernandez in any way i can!!! Never mind, i went back through the comments and found out how to do it. I love you Mrs. Fernandez, I hope you can win!!!! Mrs. Fernandez is such an awesome teacher! Keep it up! We have been so blessed to have Keri teach our children. We so appreciate all of Keri’s hard work in teaching her students! Mrs. Fernandez has instilled a love for science in me that wasn’t there before I took her class. mine too!!! hope you win the ipad! i love smith prep so much!!!! go Mrs. Fernandez!!!!! Mrs. Fernandez, you are the best teacher in the whole world. I hope someday that i could be like you. Mrs. Fernandez sure knows how to make learning fun! Not only does she make learning fun, she makes all of the concepts stick. At first I felt overwhelmed by the amount of content that I was learning, but she was right there to help me! I can’t say enough about her! She is such an encouragement to all her students! Thank you, Mrs. Fernandez! Mrs. Fernandez is a great teacher. She is friendly, and keeps class interesting and fun. She have a very good personality and sense of humor and she never hesitates to help. Mrs Fernandez is ever friendly and supportive in any question or comments I have. She was available to reply promptly and acurately regardless of weekends, or holidays. She is dedicated and creative along with making lessons fun. she deserves all the thanks I can give. Thank you so much! You are very kind! Thanks for voting for me – my kids would sure love an IPAD =) happy Summer! Thank you so much to you and your son! You are very kind and it is my privilege to teach him! Mrs. Fernandez is the best teacher EVER! (: She makes even the hardest things understandable AND fun. (: I’ve learned so much in her class this year. Love you, Mrs. Fernandez! Thanks, Madisyn! I’m so glad you’ve come to our school – we love having you! wow – you are a blast from the past =) God bless you ! How is your son? How old is he now? Thanks so much for voting for me! Happy Mother’s day! Love you so much, Mom! A teacher who can make Science fun is a wonderful teacher to have! I’ve not had the opportunity to sit in on one of Keri’s classes, but from what I read here, it sounds like she is a gifted teacher. Go Keri!! Keep doing what the Lord has enabled you to do and continue to make learning fun. Thank you so much! I really appreciate your vote! God bless you! Mrs. Fernandez is an amazing teacher. She truly cares about her students and goes above and beyond to make science fun and understandable. She is quite a special teacher and deserves to be awarded Teacher of the Year! Mrs. Fernandez has taught my son so much but especially the love of science! Thank you, Mrs. Fernandez! Thank you! You have a very wonderful son! I appreciate your vote so much! Happy Summer! Mrs. Fernadez is a great teacher. Praying you win! Mrs. Fernandez is awesome! She has made science fun and my son, Max has learned so much. Thank you. You are a blessing! Mrs. Fernandez is an AWESOME teacher! She is teaching my class Biology and we all love it!! Go Mrs Fernandez!! You have really inspired me and believed in me when others around me didnt you have impacted my life in ways you could never imagine plus I have never had to do pushups in your class. What kind words, Josh! Thanks so much! Maybe you’ll get some push up in next year =) God bless you! How do I Write an article testimonial in support of Ms Fernandez? Mrs. Fernandez is an awesome teacher! She can make the hardest things so easy to understand and it’s so much fun to learn from her! (: You rock, Mrs. F!!! Wow – I am so honored! Thanks so much Gabriel! God bless you! Mrs. Fernandez is the greatest. she makes learning beneficial and fun. Some of what I taught =) Thanks so much for your vote! I really appreciate it! God bless you and your family! Mrs. Fernandez for the win!!!!! I hope you win the iPad3!!!! you deserve it. You are such a kind teacher. I hope you win!!! Wow!! i didn’t realize Mrs. Fernandez was so popular!!!! Way to go!!!! Didn’t realize? =) Thanks, Kurk! Keri, I have been so impressed with the way you teach and the way you live. May God continue to bless you!!!! i hope Mrs. F wins the award she deserves for her faithfulness!! It has been such a blessing to learn from Mrs. F!!!!! Smith Prep has been so much fun!!!!! I love you Mrs. Fernandez!! Mrs. F, may God bless your efforts as a teacher!!!! i hope you win! i hope that you feel God’s love and care through every situation in life. as you teach, I pray that your efforts will be multiplied a hundred fold in every student’s life. you are such an amazing teacher!!!!! you deserve the iPad!!!!! i have been so blessed to be in your class, and i have learned so much from you!!!! I wish there was a word that describes Mrs. F. Awesome, loving, caring, best, amazing, hard working, awesome, beast, kind, awesome, generous, and did I say awesome? it has been such a joy to be able to learn under Mrs Fernandez for a year. although I’ll be leaving next year, i wish i could come back and stay with Mrs. Fernandez and Smith Prep. I am so very proud of my niece Keri. I never understood how biology and science became her subject but I know that she is great at it. She used to have us send her bugs and strange creatures that we may find so she could share with her kids at school. Keri is a caring, sensitive,loving person who puts her all into whatever she may do. God is always a part of her life and I am so glad for that. She is an inspiration even to me. Thanks so much, Diana! I love you lots! Me too!! Mrs. Fernandez makes science fun!!! Mrs. Fernandez, you deserve to win this award. You truly are the most amazing teacher out there!! in my opinion you own this award even if you don’t win. ❤ you!! in my mind you’re the #1 teacher in the world! Everyone: If you just love Mrs. Fernandez start posting great comments for her to win!!!! luv you Mrs.Fernandez! I love her. She makes science amazing! She is the best teacher in the world!!!!! She rocks the universe with her awesome skills!!!!! I can’t say enough good things about Mrs. F!!!!!!!!! Woot!!!!! three cheers for the best teacher in the world!!!! Mrs, Fernandez has my vote!!! Keri is so awesome in teaching science to her students! Keep it up! I love you, Mrs. Fernandez! Mrs. Fernandez is such a great teacher! You are such an incredible teacher! Great job teaching science! I hope you win! BY FAR THE BEST SCIENCE TEACHER THAT GOD HAS TO OFFER! Wow – what a kind note! Thanks so much, Neilah! Happy Summer! She’s the absolute best teach ever! Really does care about each of her students, and wants the best for them..
Keri Fernandez exudes such enthusiasm when teaching. Her eyes sparkle when she’s discussing anything from fossils, to baby chicks, to snakes. A true inspiration … even for someone that doesn’t care for science! Mrs. Fernandez is my 9th grade biology teacher and she ROCKS!!!!!! she TOTALLY deserves to win the ipad! Thanks so much Mike! God bless you! We want Mrs. Fernandez to win because we all really believe she really is a rockstar teacher! now we’re ahead…. kinda. everyone keep posting!!!! Thanks so much, Lindsey! God bless you! Mrs. Fernandez is the best teacher ever. Mrs. F is such a godly woman. she shines the light of Christ in all that she does. it’s too bad that school ended. Mrs. F was the best!!!! I hope Mrs. Fernandez wins!!! Keri was so kind and helpful. Thanks Keri!!!!! Yes Keri is a wonder christian lady and a wonderful teacher. kERI IS A GREAT TEACHER AND SHE HAS MY VOTE. Thanks so much Myron and Mary! I really appreciate you vote! My little guys are praying for that IPAD =) God bless you both! Mrs. Fernandez is the best!!!!! wow!! i love you Mrs. F you’re the best!!!! everyone: can you please help us get Mrs. Fernandez to the top!!!! can anyone write just a short article or make a quick movie for her? you just send it to support@quickschools.com. that would be so awesome!!!!! I love you Mrs. Fernandez!!!! You’re the best teacher ever!!!!!! I hope you can win the ipad!!!! Mrs. F is so awesome, she deserves to win. Hope you win, Mrs. F.!!!!!!!!!! Keri shines inside and out with the love of Christ. I love Mrs. Fernandez’s cheerful and kind attitude!! Go Mrs. Fernandez!!!! Mrs. Fernandez is definitely my favorite science teacher…..no doubt about it!!! Mrs. Fernandez is soooo AMAZING!!!!!!!! I love you Mrs. Fernandez!!!!!! Mrs. Fernandez, you are such an amazing teacher. I wish you could’ve taught me my whole life!!!! To everyone everywhere…..if you have not met Mrs. Fernandez, you have not had a life…..seriously, Mrs. Fernandez rocks!!!!!!!!!! If you want Mrs. Fernandez to win this ipad, reply to this post with smiley faces or write your own post about how amazing she is. Mrs. Fernandez deserves to win this award + ipad!!!!!! 🙂 🙂 🙂 🙂 🙂 I luv you!!! We have know Keri for many years and she has always been a blessing! We are very proud of her accomplishments! May God bless you as you continue to influence these young lives. Thanks so much! I definitely remember all the patience your husband had for my class and me =) Thanks for your vote! My kids really would like that IPAD =) God bless you! Keri was a good student. I am sure that she is a great teacher! I am so grateful for all the work that Mrs. Fernandez puts into her students and her material. Keri is a stellar teacher!!!!!!! Please write your article and send it in! Voting ends at 11.59 pm PST on May 18th 2012. Keri is a great teacher and Mom. She puts her whole heart into everything she does. I give my vote to Keri. Keri and I have been friends for over 30 years – we always had a wonderful time and she was so much fun to be around – I know she is a wonderful teacher because she is a wonderful person! I love you Keri and miss seeing you! The previous post was actually for Miss Cole. We had so many great memories together…you’d better remember me =0 Thanks so much for your kind words. I am blessed to know you and have spent 30 years getting in trouble with you =) God bless you and your family! Love you and wish we lived a lot closer! Keri has always shown a special talent for teaching and a special gift with kids. She’s been such a blessing to so many. I vote for Keri but just reading the comments from her students shows she is teacher of the year to those who know her! Is this Patty Koechig? Thanks so much for your vote! God bless you! Congrats Keri! You deserve it!!!! Yep, I agree, Ms Fernandez is an awesome teacher!! Keri has my vote!! She was so much fun to be around in school, always smiling and making us laugh. We have many memories together, especially of our trips to Maine with our families!! I hope the Lord blesses you with this honor and for your kids to get the ipad!! We should all be so blessed to encounter a teacher like Keri at least once in our lives. i am voting for Keri. I am so proud of you and I always have been. I remember all your little visits with you and angela and what a great time I always had. Keep up the good work and know what a great teacher you are. I love you so much and wish we could see each other more often. Keri is my sister-in-law and I can honestly say she is the most amazing person I have ever met. She has truly been a blessing to me and my family. I have seen how wonderful she is with her own children, truly taking advantage of every day life to teach them great lessons on the wonders of God and science. I only wish I could have had a such an incredible teacher like Keri when I was going to school. I don’t know the other nominees for teacher of the year but I can tell you this for sure…Keri Fernandez is the best!!!! BEST TEACHER, SHE DESERVES IT! Without a doubt Keri Fernandez is the teacher of the year & the #1 wife of the year. She is an awesome homeschooling mom, an amazing educator at Smith Prep and a great pastor’s wife. I love her muchisimo and believe she is worthy of top honors!